Meet new friends… or visit with old ones. At the Alpena Senior Citizens Center, you’ll never be bored! Stop by and meet your friends, take advantage of the many activities we offer. Here’s just some of what you can expect. Take a look at our Calendar to check out what’s going on at the Center today! Click Here. 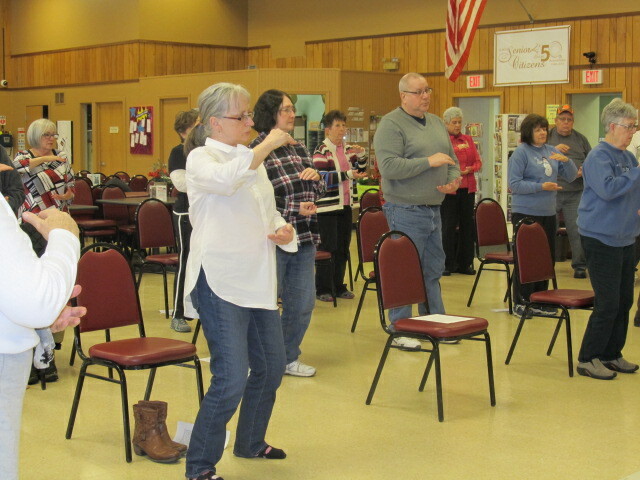 Low impact exercises lead by instructors who are certified by the Arthritis Foundation. crocheting, tatting, needle punch, knitting, cross stitch. Thursdays from 1-2 PM. You can always find that kind of medicine at the Senior Center. Play Card Bingo at the Senior Center every Wednesday at 12:30 pm. 25 cents a card. “Have-A-Hart” Quilters meet every Tuesday from 10 am to 2 pm to handcraft beautiful quilts. Come bring a friend or just yourself to enjoy a great group of people! we are always open for new suggestions!